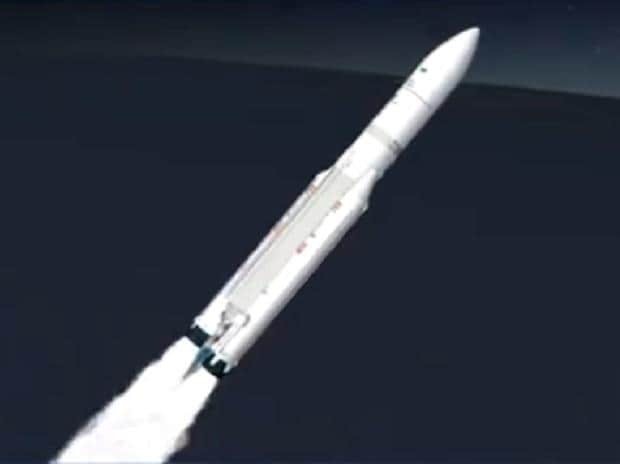 India's 40th communication satelliteGSAT-31 was successfully placed in orbit on Wednesday by an Ariane5 rocket from French Guiana. The satellite will cover both the mainland and islands of the country and provide communication services such as DTH, ATMs connectivity and emergency communication, etc. The rocket, which carried the 2,535-kg satellite, blasted off from the spaceport in French Guiana at 02:31 am (IST) as scheduled. GSAT-31 is India's 40th communication satellite, which is configured based on the Indian Space Research Organisation's (Isro's) enhanced I-2K Bus. It utilises the maximum bus capabilities of this type. 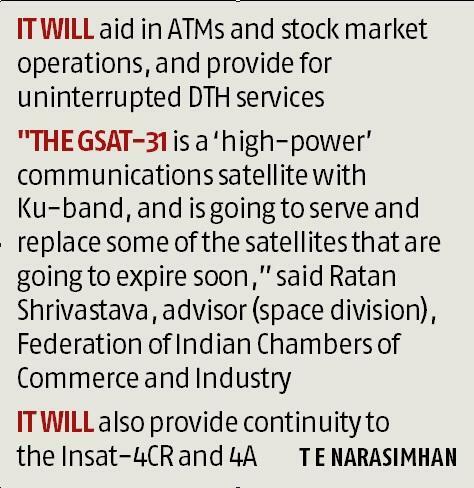 "Designed and developed by Isro, GSAT-31 is a high-power communication satellite in the Ku-band," said Ratan Shrivastava, advisor (space division), Federation of Indian Chambers of Commerce and Industry. Shrivastava said that the satellite will significantly add to the Ku-band capacity for VSAT application. "It will enhance VSAT services for banking, e-governance, telecom bulk data transfers and communication for disaster management. It can also be configured for DTH services," he added. of 250 km and an apogee (farthest point to Earth) of 35,850 km, inclined at an angle of 3.0 degrees to the equator.